As Miele kitchens re-brands itself and takes on the name of the German town in which the company is based – Warendorf – it is making this change with a new kitchen destined to make a significant impact. 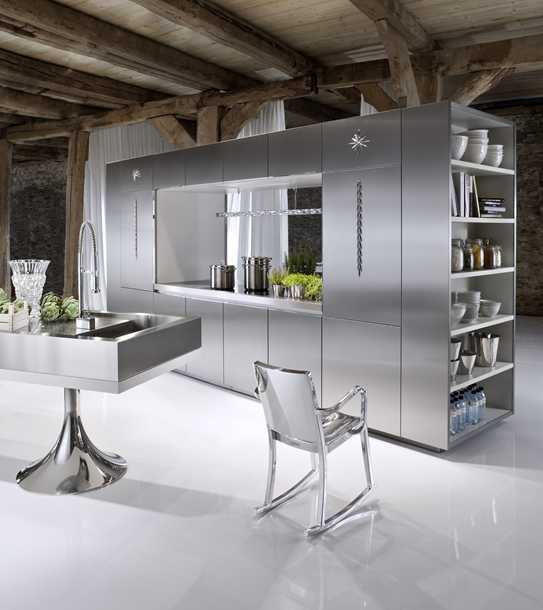 They’ve chosen one of the biggest names in design – Philippe Starck – to develop the first kitchen under the new brand. 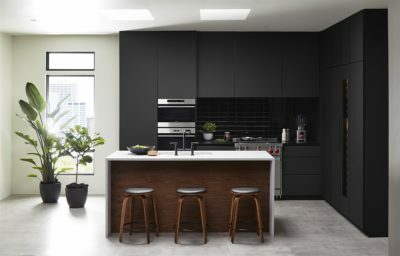 Starck has created a kitchen design that represents something of a departure, both emotionally and functionally, from the traditional wall-to-wall arrangement of the fitted kitchen. He calls the concept “democratic design” because its wide range of individual elements and the ability to combine them in different ways gives it potentially wide appeal to a range of consumers, lifestyles and spaces. 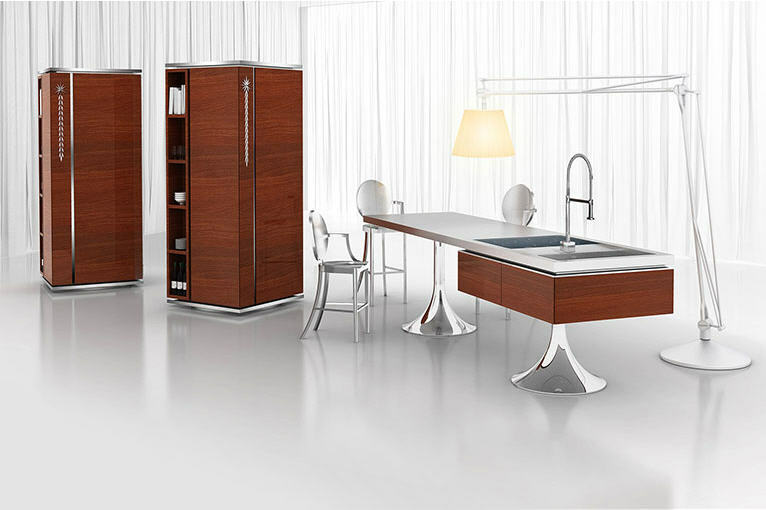 Starck’s first kitchen design concept, Starck by Warendorf, is complemented by functional tables that can be integrated into every Philippe Starck kitchen but may also be used as a standalone concept. 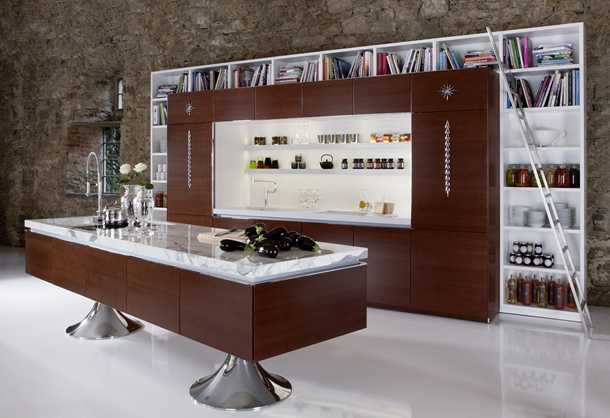 It is a modular system made up of kitchen elements and individual pieces that leave all interior design options open. A key element of the Starck by Warendorf concept is the way it combines living functions with the functions of eating and food preparation. 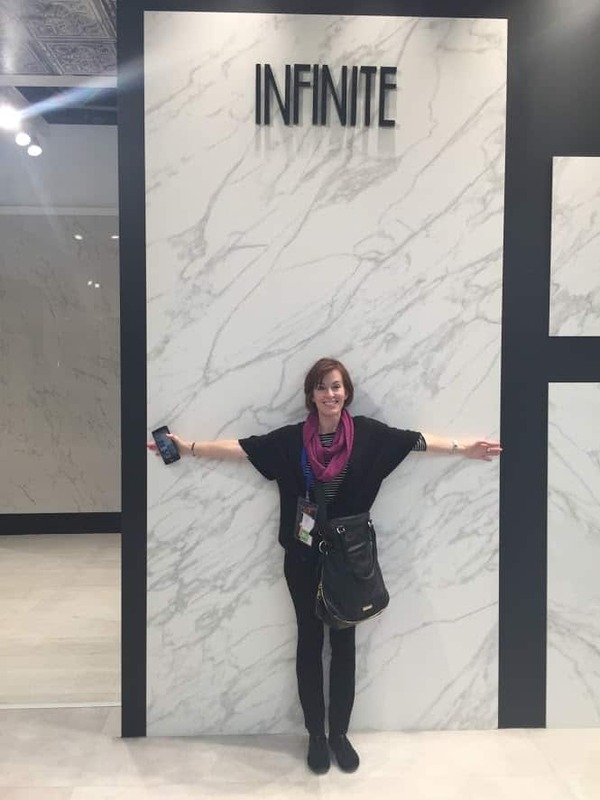 Starck does this with a number of specific design references. His bookshelf-style elements are intended to combine culture and food in the domestic kitchen. The bar-style counters are a response to the changed dynamic governing meal times. 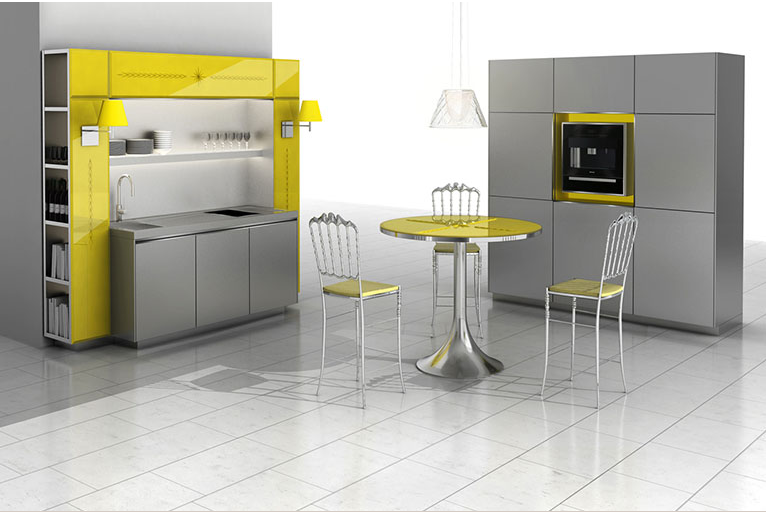 Starck has banished visible appliances from these kitchen designs. Refrigerators, freezers, dishwashers, ovens etc are all concealed behind handleless unit fronts. The accompanying exhaust hoods disappear into the ceiling when not in use. Absolutely beautiful and clear design. 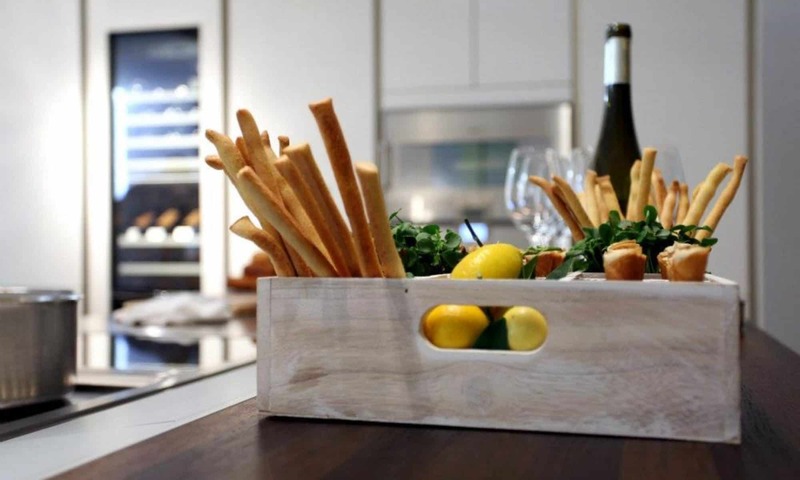 Having these pieces of furniture must be like having pieces of modern sculptures in your home…..